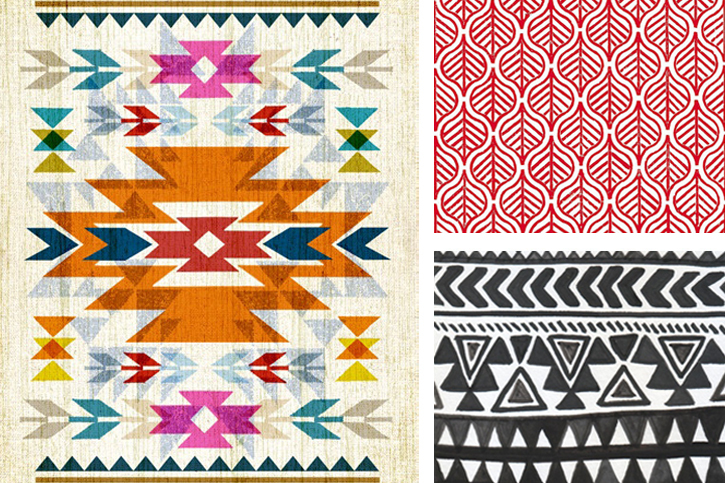 One of the things I love about ethnic design is the ubiquitous use of bold, graphic lines and geometrical shapes. 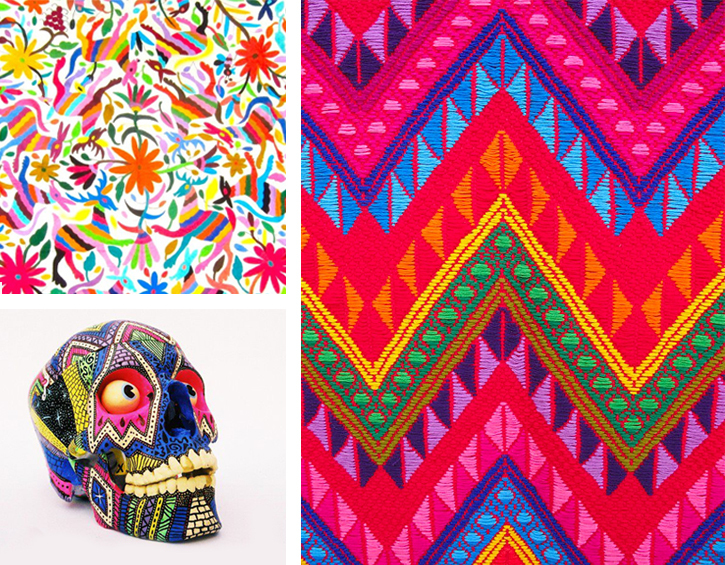 Be it a piece of jewellery or a intricately woven wall hanging, look closely at those patterns, they may be repeated over and over, doused in brilliantly saturated hues and created using a myriad of techniques but, whatever the item, that nature of simplicity still remains: unpretentious and modest. It's those easy lines, imperfectly round and slightly off centre, or perhaps even that accidental skip of a stitch or out-of-sync pattern repeat that only adds to the beauty and authenticity of the piece. I love that offbeat, 'I'd rather go and play' feeling that exudes from those folksy, bohemian trends we just can't seem to get enough of. To put it simply: it's got character. Why spend your time worrying about automated precision when you can have so much fun making it with your hands? 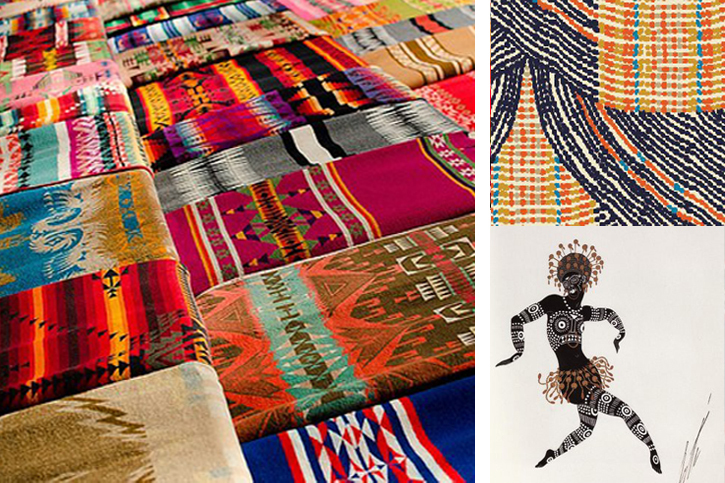 So in honor of time spent with a needle and thread, a paintbrush, a silk screen and a piercing saw, here's a few of my current favorite ethnic inspired images and artworks. 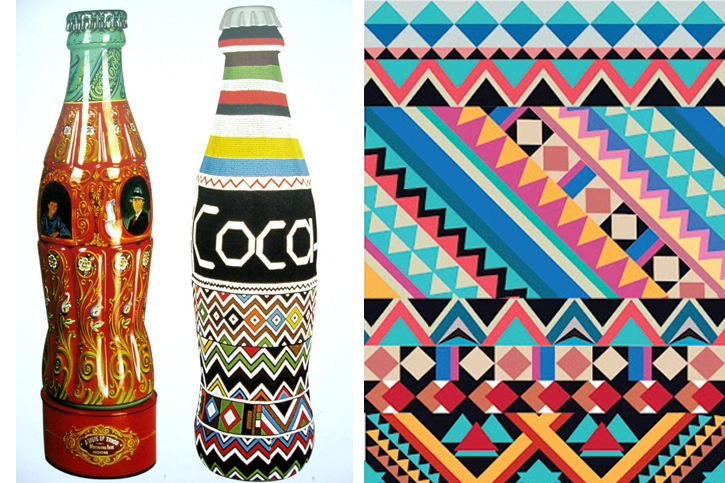 And if this selection just doesn't cut it for you, hop on over to my Ethnic Art Pinterest board for an extra dose of ethnic overload. 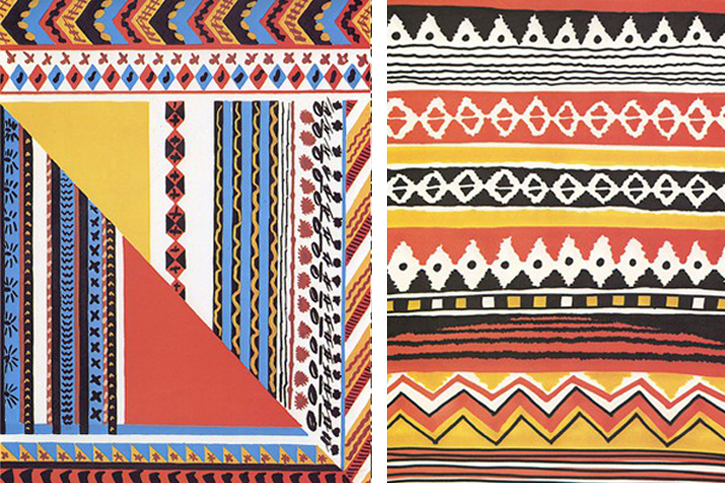 All images from Wandering Threads 'Ethnic Art' board on Pinterest. For individual credits please see individual images.